Very interesting, but I’m not sure that making God in your own image is really a good idea. Christianity as a whole loses a lot if you discard the fact that Christ came from a Jewish background. 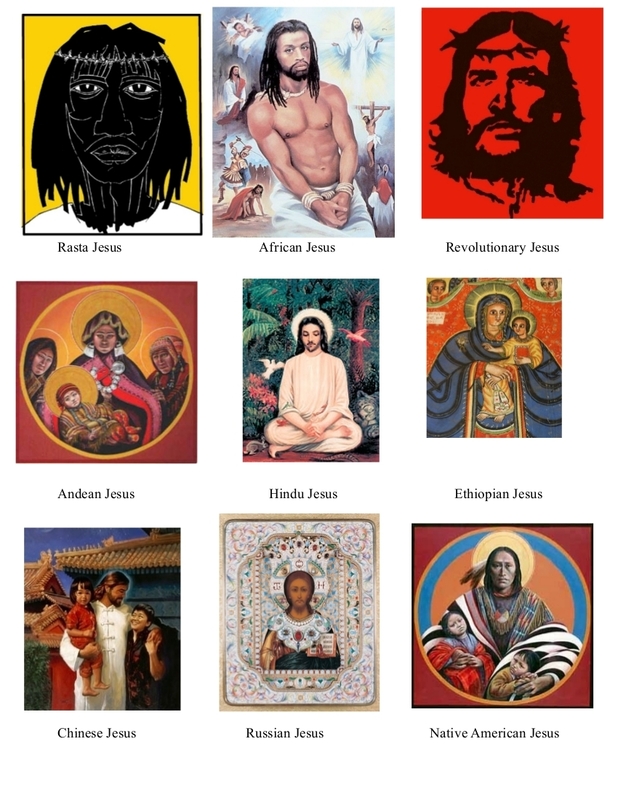 I agree in part, and yet there is the point that Jesus came for everybody, and the artists of these icons were trying to convey that. Yes I agree. I think from the “overlooked”, these efforts are a way of saying “He knows us too”. Carl I like particularly the Native American portrait. In the animism-shamanism of Native American religion (non Christian) such a reverence is displayed for all things living and inanimate we could all benefit by absorbing some of that. Esp our planet.